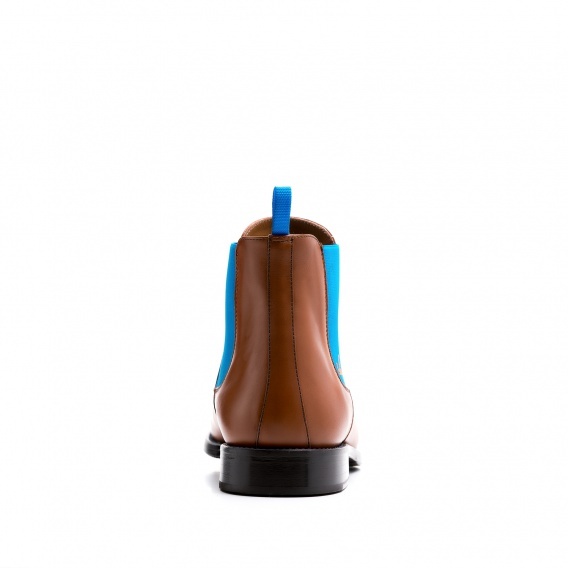 Blue stands for infinity. 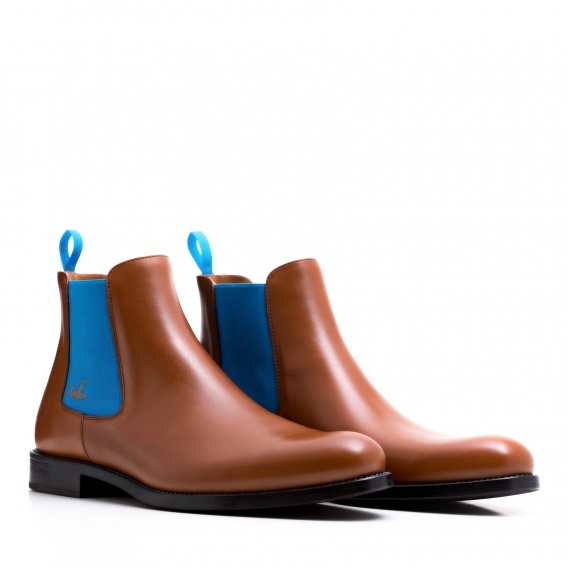 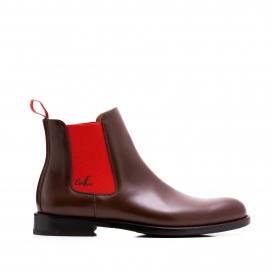 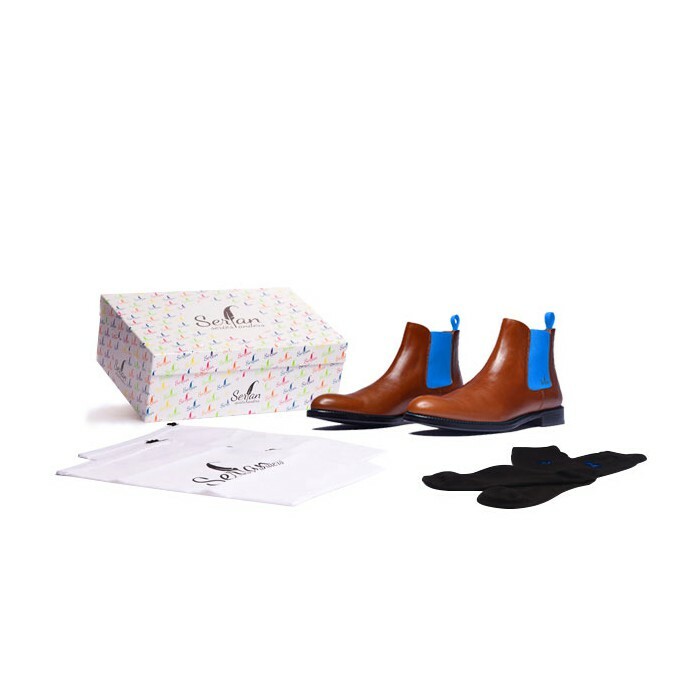 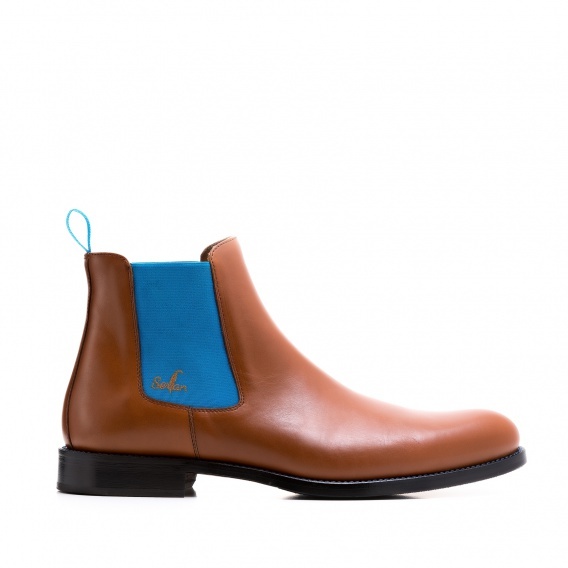 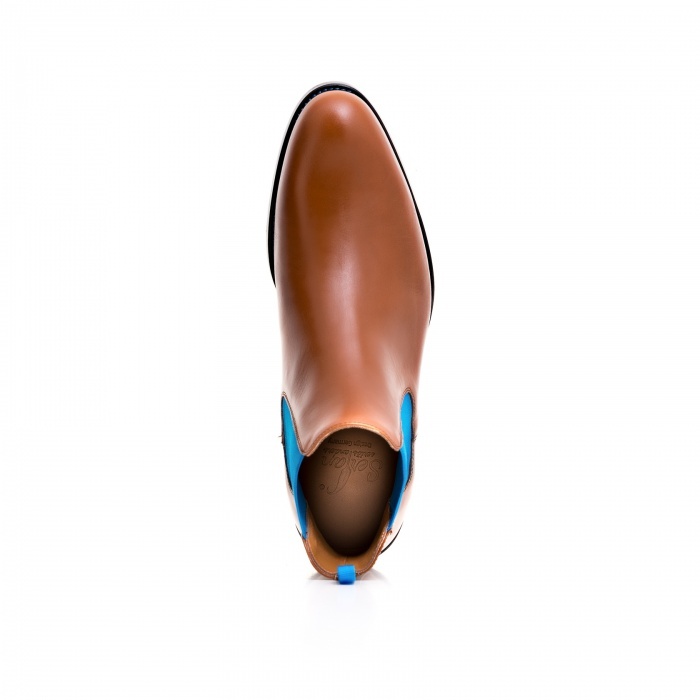 The cognac and blue Chelsea Boot is not only a lifelong companion, but also very versatile during the whole year. 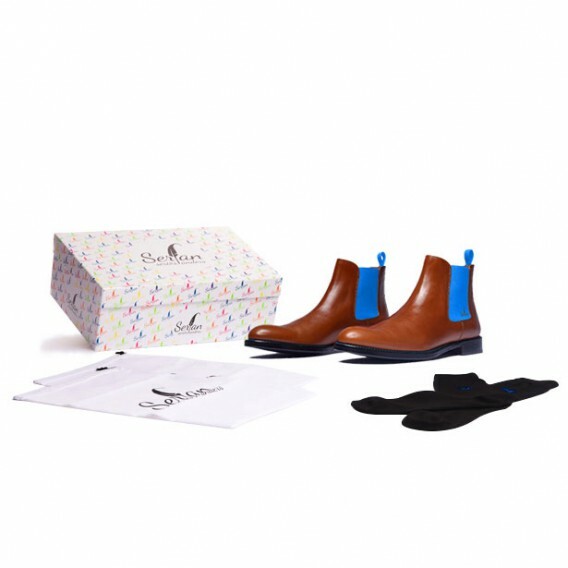 You can wear it either during sultry summer nights or during the cooler time of the year combined with a knitted coat. 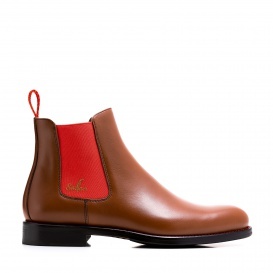 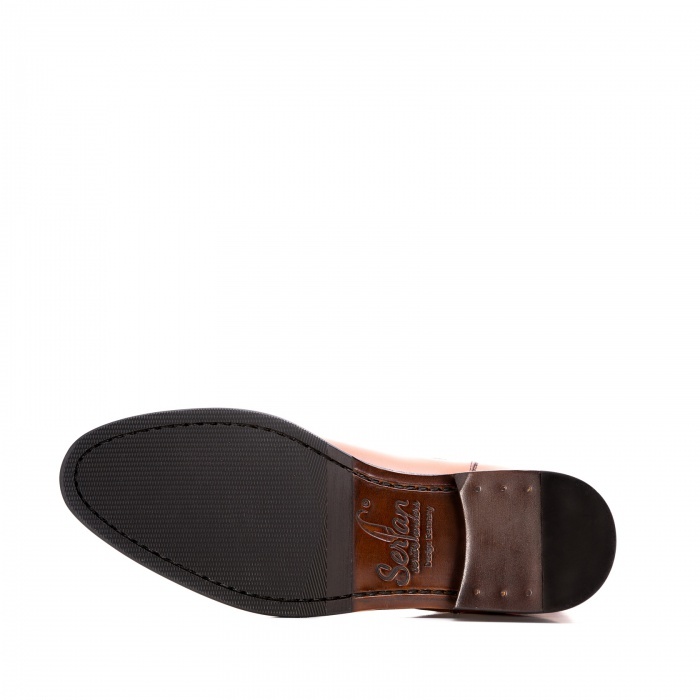 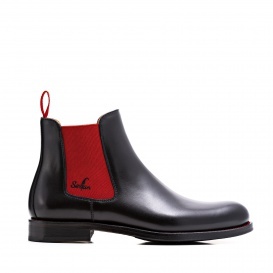 Typically for the Chelsea Boot are the elastic inserts on both sides of the shoe for a perfect fit and high wearing comfort.